The NRA has launched a new ad in Wisconsin which highlights Governor Scott Walker’s (R) support of the Second Amendment and the passage of concealed carry during his first term. 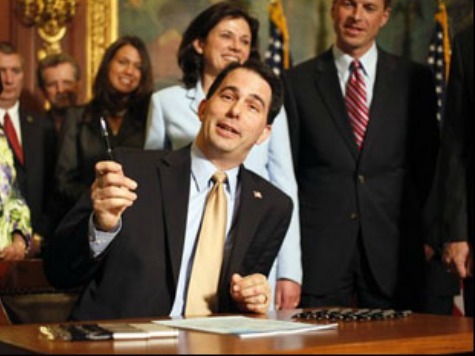 Walker signed concealed carry legislation into law on July 8, 2011. The Milwaukee Journal Sentinel reported that his signature made Wisconsin the 49th state to put laws in place recognizing citizens’ right to carry a gun for self-defense. In December 2011, Walker signed “Castle Doctrine” legislation into law for Wisconsin. Popular in markedly pro-gun states like Texas and Missouri, among others, castle doctrine laws recognize and protect one’s right to self-defense in one’s home, business, or other abode. In the ad for Walker’s re-election, the NRA focuses on the pro-self-defense atmosphere nurtured under him.